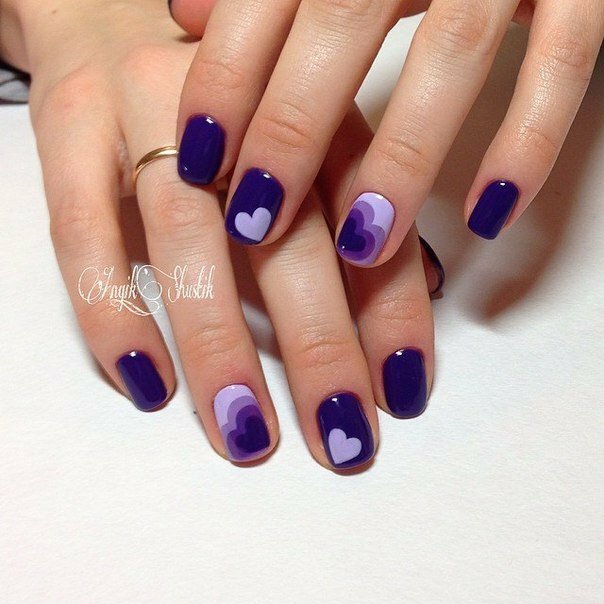 This youth manicure with hearts will appeal to the young lovers of romance. It is designed in blue colours on dark purple surface. Adding light colours gives for a figure contrast, it highlights the hearts on the main background. You can complete this stylish image with a fashionable jeans, glasses with black frames or open sundress with bright jeans ruffles.